Watch the world premiere of the new English version of "The Boys" music video on GG's brand new US website! 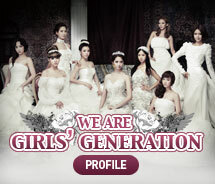 www.girlsgenerationusa.com And don't forget to sign up for our new USA mailing list! i want to download a Remix of The Boys:)the remix that GG use at MAMA 2011 please hurry up. I sure many of people want to listen it too. This blog is provide lots of good idea and your blog are very useful for me.Thanks a lot. Create and monitor SharePoint workflows more easily than ever with a new advanced template Adobe Acrobat 9 Pro Download.